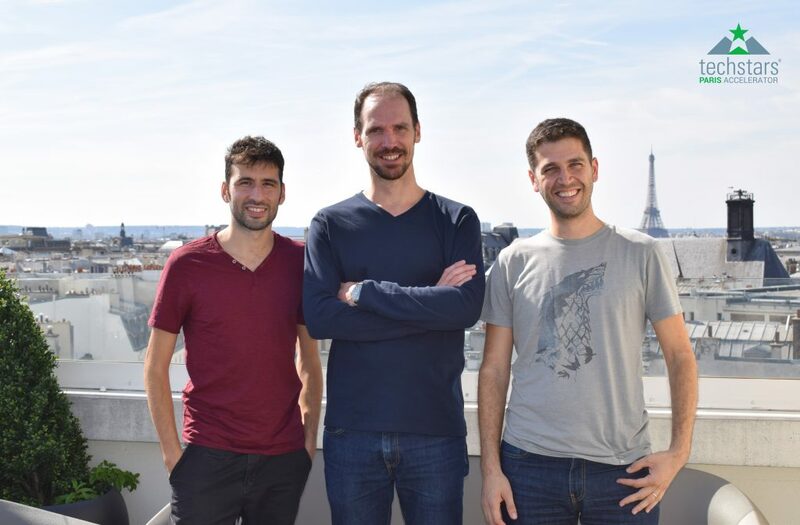 Today we meet Benoît Gagnon, cofounder of Miuros Software, another of the Techstars Paris startups. As the Techstars Demo Day is coming, the moment has nearly come to look back at the last 3 months spent in Paris. 1. Please explain what Miuros Software is about. Almost 66% percent of consumers switch to another provider after a negative experience with Customer Service (CS). With my 15 years of experience managing Customer Service organizations, I did not see CS improving as much as it should have. It should have improved because it becomes the main, if not the only, point of contact more and more brands have with their customers long before and after the act of purchase. To prevent this churn, Miuros uses artificial intelligence to leverage on the CS data and make CS faster and smarter. Miuros is easily interfaced with industry standards such as Zendesk, Salesforce and others. With tasks automations, recommendations and new actionable insights, Miuros serves every layer of a CS organization, from agents up to managers. 2. What do you think about the buzz around Artificial Intelligence? Is it true that many startups say they use AI when this is not really the case? There's indeed a big buzz around it. AI is a real technological revolution and we are just leaving its premise as it develops at the speed of light. There are so many meaningful domains andcases where AI can be applied. Nevertheless, with the current marketing buzz around it, many people are disappointed because they were sold misleading expectations, expectations that AI will only fulfill in 2 to 3 decades. In its current form AI is not yet ready to address complex transversal problems for example, it can only address simple problems. I cannot really judge if each startup that claims to use AI really uses it. All I can say is that I have observed many startups building their brand around AI but when you look at their founding or tech team, there are no real AI experts. On the other hand, what does this mean or how can we define"really using AI"? Every month there is a new API provider, a new open source library that allows anyone with a bit of programming background to apply AI. For many people this is sufficient to claim that they use AI but that's not a guarantee of good results. All in all, AI is just a means, a tool to achieve a goal, to solve a problem. In the end customers buy solutions for the problems they solve or the value they create, not because they are built with AI. 3. You are 3 cofounders, each one coming from a different country. How do you manage cultural differences? Ahah, good question. We're European, that's in the DNA of Miuros. We are actually a real melting pot of cultures. One of my cofounders, Daniele is Italian but he lives in Spain. Ricardo, the second one, is Spanish but lives in France and I'm French but I live in Germany. Even the freelancers we work with don't even live in their home country! Each of us has a culture but not necessarily the expected one. When I was working for Oracle, I was invited to do some cultural tests during a management training. According to the results, my culture was closer to the UK one than the French one. Despite the fact that we already knew each other, when we started the company I asked Ricardo and Daniele to take this test, so we could gain some awareness about who each of us is, understand if we are more direct than indirect, hierarchical or group oriented. The idea was to understand each other better and adapt to one another depending on our personality traits. When joining Techstars we also did an MBTI test, quite insightful as well. In the end it's all about communication. 4. What made you choose the Techstars accelerator program vs other programs? There are lots of very valuable acceleration programs but in our eyes, 2 are outstanding: YC and Techstars. We chose to apply to Techstars and we're glad they selected us among hundreds of applicants. Being given the chance to benefit from its network is great, the network is super broad and rich, from alumni, mentors, corporate partners, investors, there are tons of opportunities for learning, support, sharing and business development and networking learn, get support, share, or make business. For first time entrepreneurs like us, the mentorship program was another good reason to apply. Getting feedback from talented people who have an external eye on what we're doing is so valuable. Another reason was that a good part of the program focuses on fundraising and getting advice in this area was priceless. 5. What do you like most about working in Paris? We're a distributed team and we meet once every 5 to 6 weeks for a few days. Being all together in Paris during the length of the program was a great experience for us that makes us stronger. On a personal side, and coming from Berlin, what I enjoyed the most about working here was the chance to have some good tasty food for every meal and the ability to enjoy it on the great terrace with a beautiful panoramic view of the city on the 9th floor of the Partech Shaker -perhaps I’m ultimately more French than those cultural tests say. Thanks a lot Benoît and you know that you can stay at the Partech Shaker as a regular resident if you wish!